Last weekend, I read a wonderful article in the New York Times about unplugging. Oh, I just heard you sigh. Take that back! This is different. This article was written by a New York Times writer whose column focuses on the intersection of technology and business… in other words, someone for whom it is not easy to unplug. And he didn’t. This article is simply about his journey toward having a healthier relationship with his smartphone. Come on! Now I’m pretty sure I felt you roll your eyes! We all know many of us are like rats in cages, continuously pushing that little button for a fix. As a wise friend said to me recently, “I changed my phone habits when someone showed me that it is no longer a tool we use, but that we have become a tool of it.” Frightening. In honor of this weekend which is the organization Reboot’s National Day of Unplugging, come to Cool Shul this Saturday morning for an Unplugged Shabbat event. We will have some old fashioned Board and Card games at 10:30am, and some old fashioned snacks, too! For details, go here: https://www.coolshul.org/event/unpluggedgames. Ok, so you’re still hesitant, and you aren’t going to do either of those things above? Fine. Be that way. At least read these quotes from the NYT article, and do me a favor, during this National Day of Unplugging from sundown Friday night to sundown Saturday evening (yes, folks, that’s Shabbat), find a time to literally put your phone in another room, if at all possible, and feel the freeing effect of having no idea what’s going on, at least for an hour or two. Trump can wait. Convinced yet? Okay, no matter how we do it, let’s try to unplug a little bit this weekend, maybe even for that full 25 hour period of sundown Friday to sundown Saturday. No, there is no need to ignore the phone call from Grandma, or the fact that your daughter will call when she needs to get picked up, but perhaps we can at least get off of social media and observe ourselves when we are habitually checking our email or Instagram. It can all wait. But our souls and the connections we have with our friends and family cannot. P.S. Total honesty? I’m waiting in a restaurant for a to-go order as I finish this blog, and I totally just clicked on my iPhone twice to look at my email when there was no need to. I am so busted!!! 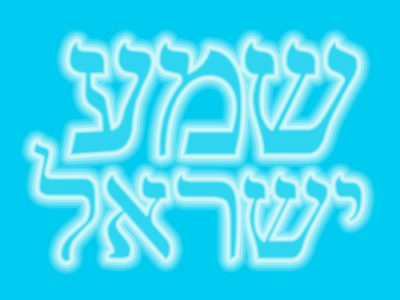 Our Torah portion this week is Parshat “Bo”, which means come. During Parshat Bo, where we experience the final three plagues, God tells Moses to go (bo) to Pharaoh. You may have noticed that I translated bo as go, even though I just said it means come. Rarely does a translation say “come to Pharoah,” but that is what it actually says, and many have wrestled with the fact that the word is confusing in its use. Why would God say, “Come to Pharaoh” rather than “Go”? It’s a fun puzzle to try to solve. In my research, I found that most commentators agree that in God’s telling Moses to come, and not go, God is present with Moses during his interactions with Pharaoh, so God is really saying “come with me” to Pharoah. Another idea is that God is hovering near Pharaoh all the time, so God is asking Moses to come to where God is already present. Of course, I have another interpretation to add, and it fits perfectly into the New Year’s theme. Be it the secular New Year or the spiritual New Year of Rosh Hashanah, we often say to each other (when using English), “Happy new year.” During Rosh Hashanah, however, when we greet one another in Hebrew with Shanah Tovah Umetukah, we wish each other a good and sweet year. My question for you is the following: is good or sweet the same as happy? To me, what may be good or sweet doesn’t have to come with the pressure of making us happy. Depending on what has gone on in one’s life during the prior year, a good year or a sweet year may not necessarily lead to happiness, and it certainly won’t lead to happiness all the time. Good or sweet might just be improvement or going in the right direction. And what does being “happy” even mean? It’s not the same as present or content. Being happy or not seems too black and white for me, too two-dimensional. Personally I think we all are often kind of happy and kind of not. One of my students studying the creation story talks about the eating of the fruit in the Garden of Eden as taking away our happiness because we became aware of all of the problems and possibilities of our world when we ate it. But, he asks, “Is it better to just frolic around the garden like a bunny… unaware and simple but happy?” To face our powers and weaknesses is, in many ways, to be unhappy. So he also asks, “Would we want it any other way?” And so there we are — happy and unhappy, but maybe content that way, and perhaps that state is even the key to the meaning of life. So wishing each other a happy new year is asking us to move away from what might be a healthy state of being and setting each other up for failure. Maybe the purpose of the inspiration for renewal at a new year, is not to become more happy, but to get a step closer to home… to being the people our natural states are asking us to be. Perhaps we can make New Year’s resolutions not to go toward something we aren’t, but to come… or “bo” back to ourselves. Returning to Moses, we have to remember that he grew up in the Pharaoh’s court. While it’s believed that the Pharaoh of the exodus story could not possibly be the Pharaoh of Moses’ youth (and no one has figured out if there is a true Moses/Pharaoh relationship anyway), Moses’ return, at least in the story, is a march to his old home and to everything he left behind. I think that the word “come” is used because Moses isn’t just moving away from his life, but he is actually coming home to a familiar place. As frightening as it would be to be put in the position of being the reluctant hero as Moses was, imagine how frightening it would be if we were also returning to our old homes, to a place we had to run from. Moses is coming back to face a part of himself, his history, and his experiences within Egypt. He has to come to himself. And so, with New Year’s, we can focus on those usual surface goals – like the ever present losing weight and going to the gym — but so often those kinds of resolutions fall away and dissolve partly because the hope is to become something we aren’t rather than coming home to what we already are. Perhaps we need to focus not on a product, but on a process, on “bo”, on coming toward ourselves and what can free us, just as Moses had to “bo” in order to be completely free from his past and be strong enough to free others. If you’ve already made some New Year’s resolutions, it isn’t too late to retool them. Let’s see if we can focus on our potential. Let’s see if we can focus on activities and expressions that create wholeness within us and for those around us. Let’s see if the promises we make can be about coming and not going. Am I a “Bad” Jew if I Eat Bacon? Last Sunday, I participated with Ikar, HIAS (the Jewish organization committed to relocating and advocating for ALL refugees), and several other communities in a Vigil at the LA Museum of the Holocaust remembering the SS. St. Louis. In 1939 this luxury boat was loaded with German Jewish refugees who were fleeing Nazi persecution and travelled to Cuba to await their quota number in order to be able to enter the United States. This was the last hope for many of these refugees as visas had tightened after so many had fled in 1938 immediately after Kristallnacht. The tickets for this voyage were expensive, and families had to sacrifice enormously to find or earn the money for the passage. A nazi flag flew over the boat, but the captain ordered the crew to treat the passengers as they would any other. The passengers actually enjoyed themselves with fine food and lots of on-board activities. However, just a few days after they departed, the captain got word that his passengers might not be allowed to disembark after all because of changing political tides. But the boat carried on and those on board kept hoping. When the SS St. Louis reached Cuba, they were denied entry except for 29 of the 937 passengers. The US tried to convince Cuba to take them, but the boat ended up heading for the US instead with 907 refugees still aboard. But when they reached the US, they were denied entry again. Pressure was put on Canada to accept the people, but they were denied a third time. Refusing to take these people back to Germany, the captain returned to Europe and took them to Belgium. They were accepted by the UK, France, Belgium, and the Netherlands. But with the Nazi invasion of Europe, 254 of them, a little over 1/4 died… 254 people that could have been safe in Cuba or the US or Canada, but were sent away. With this story in mind, and considering today’s new ruling against the President’s travel ban, I bring your attention to the poem below by Brian Bilston. Read it twice… once forward and once backward, and see how identical words can be turned around, much the way the SS St. Louis was turned around again and again. To learn about the poet, go here: https://brianbilston.com/2016/03/23/refugees/. To help refugees, become a supporter of HIAS at https://www.hias.org/. To support the LA Museum of the Holocaust, go to http://www.lamoth.org/. To support Cool Shul so we can keep making the world a better place filled with non-judgmental, flexible, open-minded Judaism, go to www.coolshul.org.